HOW TO DO AN EPOXY SU-8 MOLD? 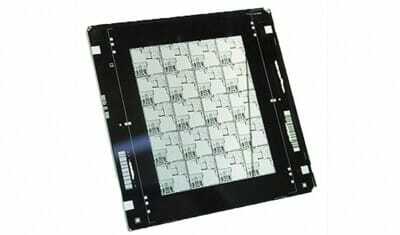 To perform PDMS soft lithography, you need to use a mold. The most commun and used molds are certainly the epoxy resin SU-8 molds. 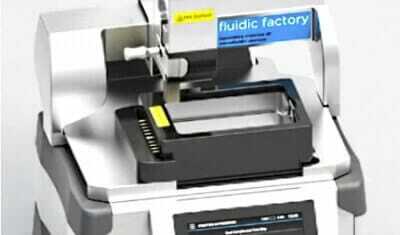 Every year many laboratories begin a microfluidic activity and sometimes not with the good equipment or methodology. This tutorial has for aim to bring the basic knowledge on how to do a mold in epoxy resin SU-8. In this tutorial we use a spin coater to dispense the resin but other technics can be used. We are going to give you here little tips and tricks to make the SU-8 mold fabrication as easy as pushing a button. 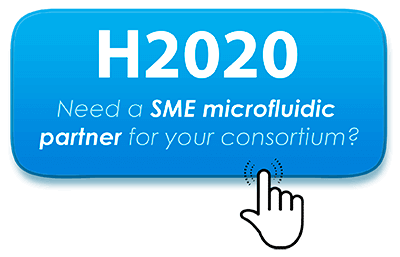 Do not hesitate if you have specific questions we always like to help researchers, as we are some too, and we will try to answer as best as possible, if you are interested by doing your own SU8 mold please look at our SU-8 station. Need an advice about SU-8 mold fabrication? Even if the wafer is new, it has to be prepared before receiving the SU-8 photoresist. 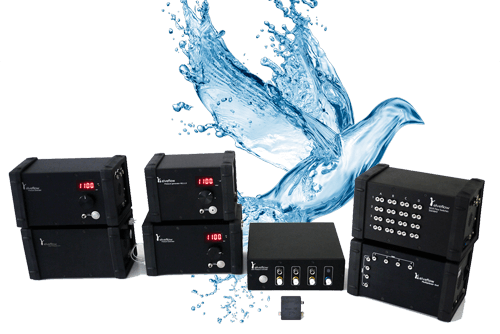 If you are in a clean room, you can clean it with piranha solution (H2SO4+H2O2), outside a clean room you can use acetone. The cleaning can be optional if you are sure about the state of your wafer but it is strongly advised. In any case you have to heat your wafer to remove all moisture on the surface. We advice 15min at 120°C in an oven for example. This heating step is really relevant because it will allow the SU-8 to stick better on the substrate. If you have some difficulties to spread well the photoresist over the surface or if during the soft bake the photoresist makes some hole in the layer, it means that the photoresist doesn’t wet enough the substrate. 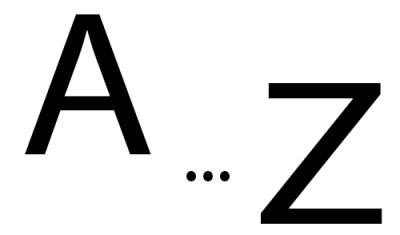 A plasma treatment (O2 or Air plasma works fine) during 5 minutes will increase the spreading. 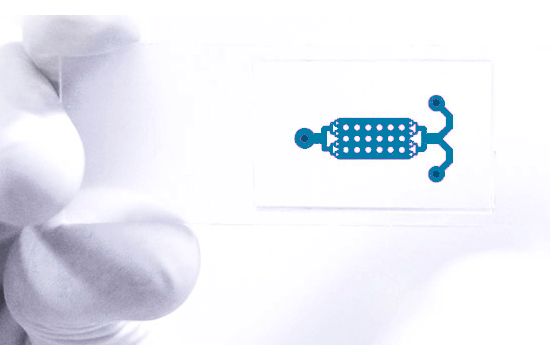 At last, even if, with the dehydration step, the photoresist doesn’t stick to the substrate you can use an adhesion promoter which can be deposited by gas such as HMDS or in liquid form and spin coated first on the surface like the Omnicoat. To create the photoresist layer which is later going to be the mold, we use a spin coater. 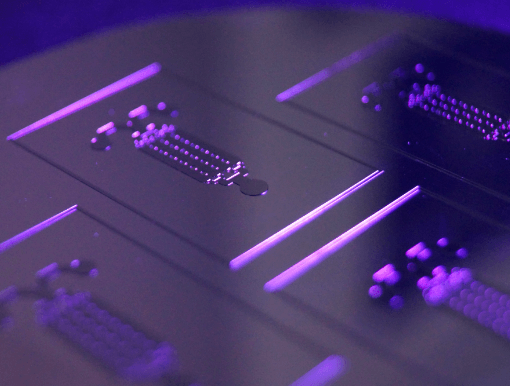 The spin coating is probably the most used technique to create a photoresist layer of a wanted thickness. 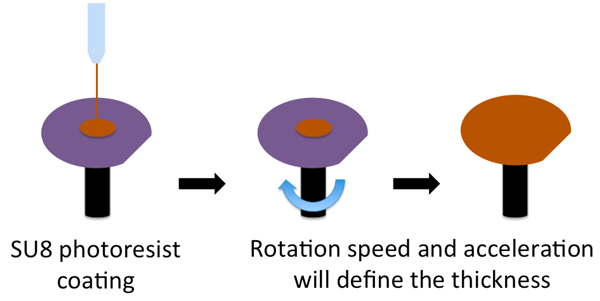 We describe in more details the spin coating step in our tutorial “how to get the best SU-8 spin coating”. 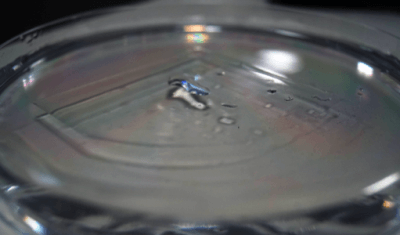 The spin coating consists in putting a puddle of SU-8 photoresist on a rotated substrate. The rotation speed, the acceleration and the SU-8 photoresist viscosity will define the thickness of the SU-8 photoresist layer. Make sure your spin coater is perfectly flat. Put the wafer as centered as possible on the spin coater chuck to have the best spread of your layer. Put your photoresist as centered as possible for the same reason than the wafer. Coat the SU-8 photoresist with two steps one at low speed and low acceleration during 10 to 30 seconds to spread the photoresist over the substrate and then a second step at high speed and acceleration during 30 to 60 seconds to control the layer thickness. Use a micropipette to dispense the photoresist to control the SU-8 photoresist quantity used. The soft bake aim is to evaporate the solvent to make the SU-8 photoresist more solid. The evaporation will change a little the thickness of the layer and prepare the SU-8 photoresist to be exposed to the UV. Indeed a quantity around 7% of solvent enables a good exposure. We have gathered more information about the relevant parameters to do a good SU-8 photoresist baked in our tutorial “how to get the best SU-8 baking”. 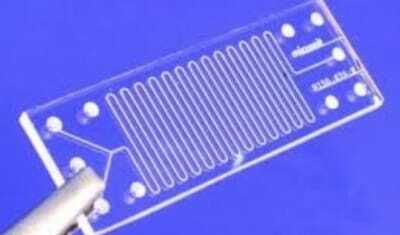 It will depend on the thickness of the layer but keep in mind that the most problematic point will be the mechanical stress inside your SU-8 photoresist. To decrease this stress as much as possible, you have to heat and cool down slightly. Use a hot plate to bake your SU-8 photoresist, it will allow you to have a heat from the bottom to the top of your wafer and thus favorize the solvent evaporation. 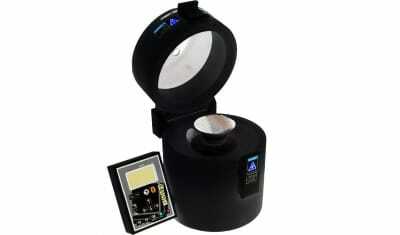 You can see which hot plate we advise here. To do a progressive heat we advise you to follow a special heat pattern , with a first plateau at 65°C then a second at 95°C, the time of each plateau depending on the thickness of the SU-8 photoresist layer. 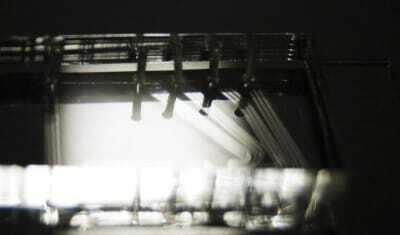 At the end of this step, the wafer can be kept in dark and on a flat surface during several weeks before continuing and finishing the process without serious consequences. The edge bead removal step consists in removing the photoresist edge bead around the wafer after the spin coating. 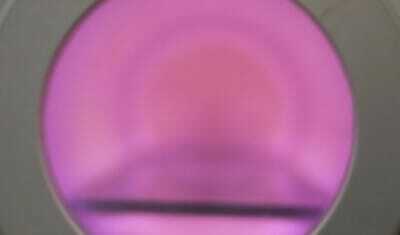 The edge bead appears because of the surface tension of the photoresist. Because of it the photoresist layer is thicker at the edge and the height namely depends on the photoresist viscosity. Especially for very viscous photoresists, where the edge bead can rise several µm, it has to be removed. Indeed, the edge bead prevents the mask to be as close as possible of the wafer during the exposure step and this gap will lead to a resolution loss in the design. Usually the edge bead removal is done by injecting acetone forward the edge of the substrate when it is rotated at high speed. This step can be achieved by hand or automatically thanks to bigger equipment. 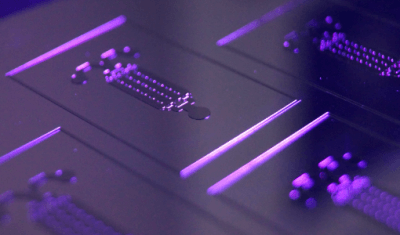 The aim of the exposure is to initiate the cross linkage by the activation of the PAC (PhotoActiv Component) in some parts of the photoresist. This activation will change the local properties of the resin which, after baking, will be soluble or not into a solvent. 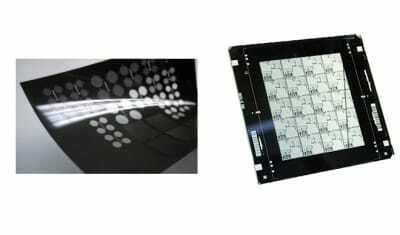 Since the SU-8 is a negative photoresist, it means that the part exposed to the UV light will become hard and the other part will dissolve during the development. The exposure wavelength of the SU-8 is 365nm. The time depends on the layer thickness and the power of the lamp. The contact mode is important, less than a hard contact you may lose some resolution and with a vacuum contact you may stick the wafer to the mask. 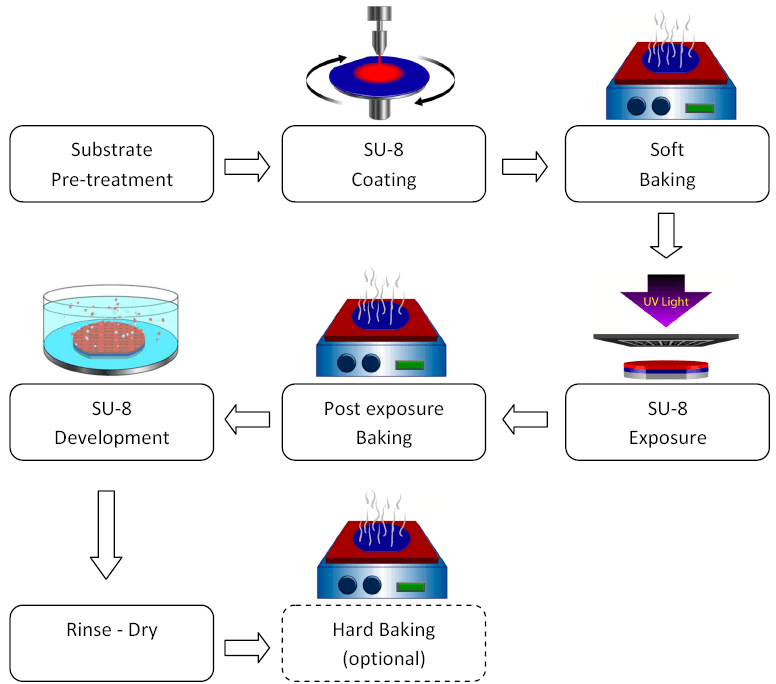 The second photoresist bake is called PEB (Post Exposure Bake). It’s done as its name said, just after the UV exposure. 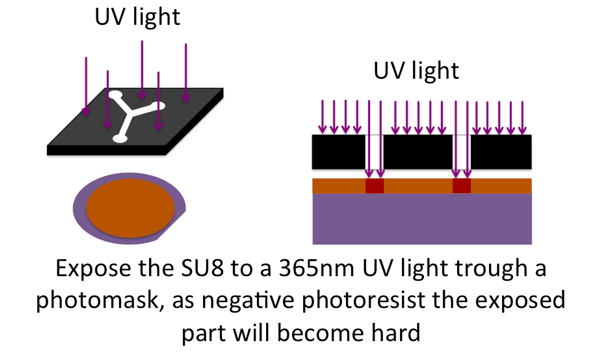 The UV exposure enables the activation of the photoactive components in the SU-8 photoresist but it needs energy to continue the reaction; this bake brings that energy. As for the soft bake, the most problematic point will be the mechanical stress inside your SU-8 photoresist and thus the heating and cooling down will have to be done slightly to decrease as much as possible this stress. 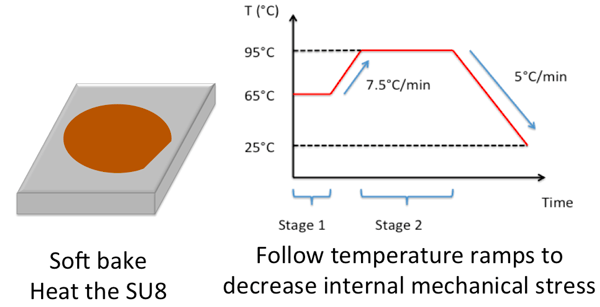 The heating pattern is the same as in the soft bake, a first plateau at 65°C then a second at 95°C, the time of each plateau depends on the thickness of the SU-8 photoresist layer. Make sure your wafer is at the room temperature before continuing the process. The development is the step where the non linked SU-8 photoresist is diluted in solvent. 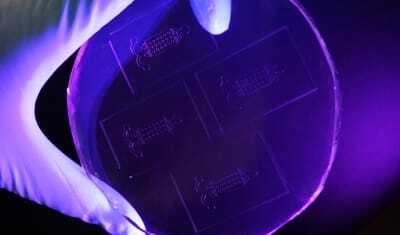 At this step the design is revealed on the substrate. The SU-8 can be developed thanks to the SU-8 developer. It’s a product from Microchem mainly composed of PGMEA (Propylene glycol monomethyl ether acetate) but you can also develop the SU-8 thanks to Ethyl-lactate or Di-acetone alcohol. Put your wafer in a crystallizer with 50mL of developer solution. The time of the SU-8 development depends on the thickness of the layer between 1 min to more than 15min. During the development maintain a good agitation to have the best development as possible. Rinse your wafer with isopropanol. If some white traces remain, develop again during 1-2 minutes. If some remain again change the solution and take 50mL of new developer for 1-2 minutes. 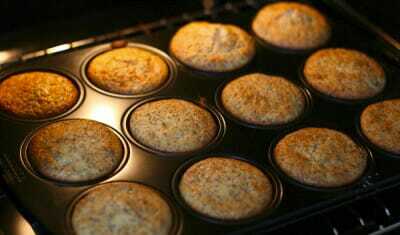 The third and last photoresist bake is called “Hard bake”, it is the last step of the process but can be optional. A lot of strengths remain inside the SU-8 photoresist at the end of the process that can create cracks on the surface or even delamination of the layer… The Hard bake heats the SU-8 photoresist at high temperature (more than 120°C) to suppress these strengths. Thanks to it, some cracks disappear and the SU-8 photoresist becomes harder. Once again, it’s the same as in the soft bake and PEB, the increase and cooling down of the photoresist have to be done slightly. At this step the SU-8 mold is already finished but we have to check if it’s fitting with expectations. For that you have to watch it under a microscope for a first visual checking. 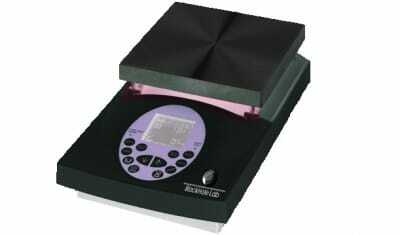 Then you can use optical or a mechanical profiler to measure the depth of the layer. Congratulation your have done your SU-8 mold!